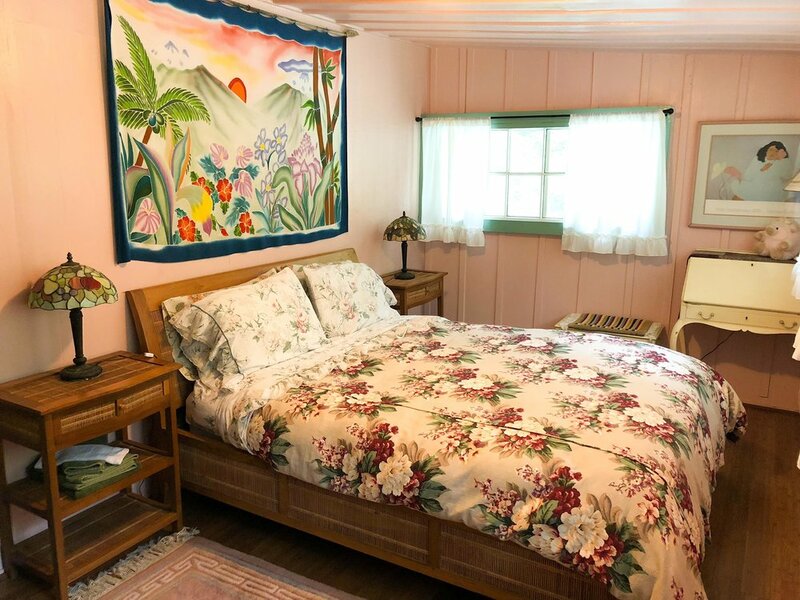 Our entire Guest House is available for groups of up to 16 overnight guests. An early plantation temple that has been remodeled to serve as a retreat and guest house, the upstairs has a meditation hall perfect for meetings and instruction, nine bedrooms, sleeping 16 people comfortably, three full bathrooms, a full kitchen and dinning area, as well as other lounge and living areas. 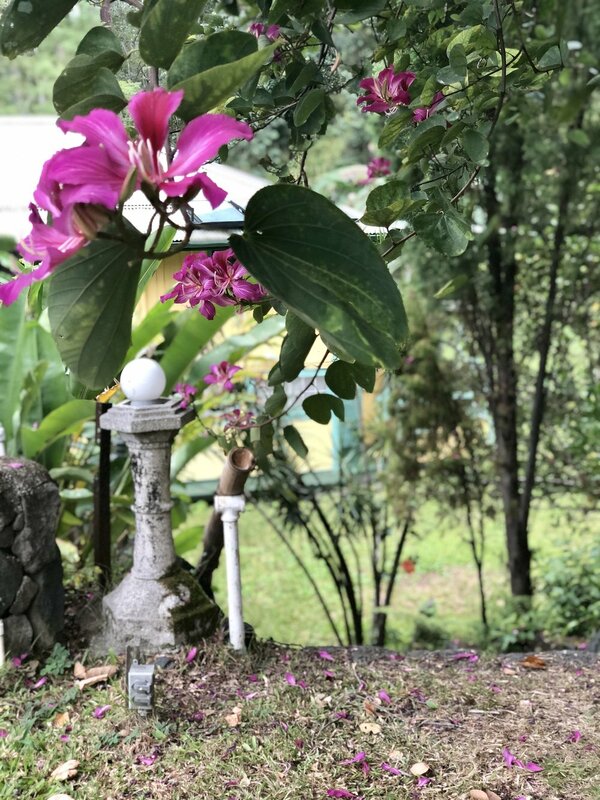 The retreat and guest house offers a very special space for small groups who want a quiet, peaceful atmosphere to focus on the moment and retreat. Nestled in an old eucalyptus forest, in Ka`u on Hawai`i Island, the beautifully landscaped grounds are a natural extension of the environment and gardens filled with tropical flowers, plants and exotic fruits. The facility has a Hawaiian style screened kitchen, dining area and lanai downstairs. The dining room has teak furnishings and couches for a quiet cup of tea or a conversation over delicious temple coffee. A small lobby and library occupy the entry. Upstairs is another lanai with a view of the temple and the spacious grounds. The temple and guest house were dedicated by His Holiness the Dalai Lama in 1980. Wood Valley Temple and guest house is near the town of Pahala, 28 miles south of Volcanoes National Park. K'au is an ideal travel destination for people to experience rural Hawai'i, away from the crowded tourist areas and resorts. 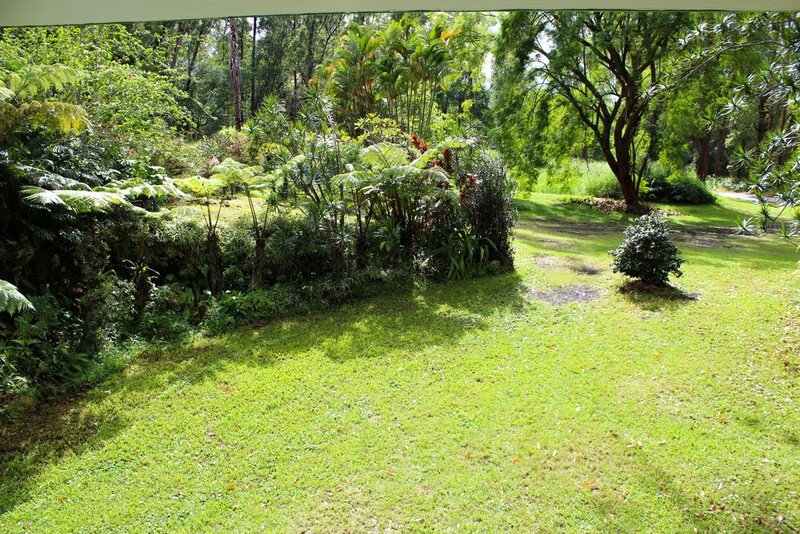 The Temple guest house is a wonderful place to stay while exploring the southern region of Hawai'i's "Big Island". The first place that Polynesians landed in Hawai'i was at South Point (Ka Lae) in the Ka'u district on the "Big Island". This district is considered to be the spiritual heart of Hawai'i and the home of the Volcano goddess, Pele. Ka'u contains both spacious barren desert and dense lush rain forest, extending from the summit of Mauna Loa to a rugged coastline where land meets the Pacific Ocean. 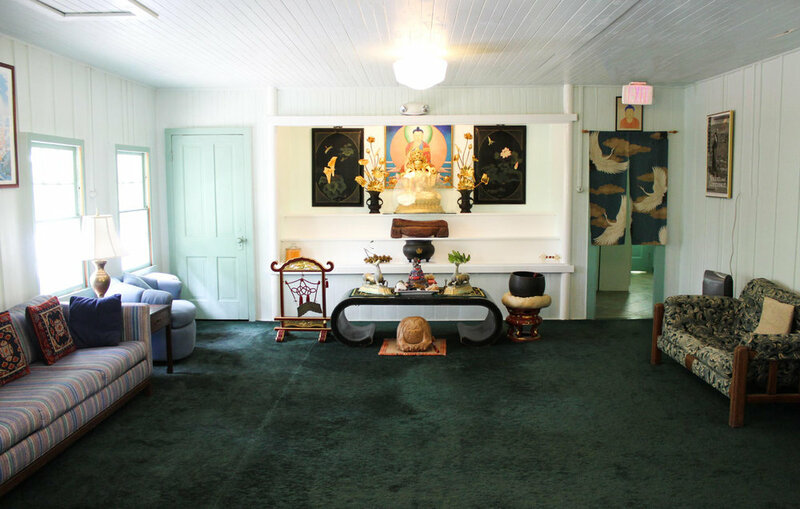 Nechung Dorje Drayang Ling's temple and meditation center is tucked away on twenty–five acres in a hidden valley in Wood Valley, Ka'u. The Guest House sleeps up to 16 people. How many people do you expect to attend your program during the day, but not stay overnight? What kind of group retreat or program will take place? Single, double, or dormitory rooms can be booked for facilitators arriving in advance of the group. Yes, please find additional details about who will be coming and when below. No, we will all arrive with the group on check-in day. Please provide any other details we should know about your group booking of the Guest House retreat facility. Would you like information about hiring a cook for your group? Will any facilitators be arriving in advance of the group? Thank you for your inquiry to book the Wood Valley Temple Guest House for your group! We will be in touch shortly by email to confirm your booking details. Book the entire guest house for your workshop or retreat with beds for up to 16 people (on all beds), in nine bedrooms, a meditation room for large meetings, a full kitchen, three full bathrooms, a half bathroom, and communal living spaces to relax or study. other programs is on the upper floor of retreat center. Kitchen & Dining Area: A screened kitchen and dining area for 25 people on the first floor. To make a reservation, please use the form above or call us at (808) 928.8539. We look forward to hearing from you. There is a three night minimum stay for groups. A full kitchen is available for guests use. Please bring supplies for your meals. There are local cafes in the nearby town of Naalehu and several good restaurants in Volcano Village. Group Facilitators need to make arrangements for food service, cooks and assistants. The temple staff does not provide a Meal Service for groups. There is no daily housekeeping service. All guests are requested to maintain shared public living areas. Fresh sheets and towels are available each week for guests with longer residences. Groups are responsible for the maintenance and cleanliness of the entire facility during their stay, as well as a basic cleanup of the facility prior to departure. Bathroom tissue and general cleaning supplies are stocked before arrival. 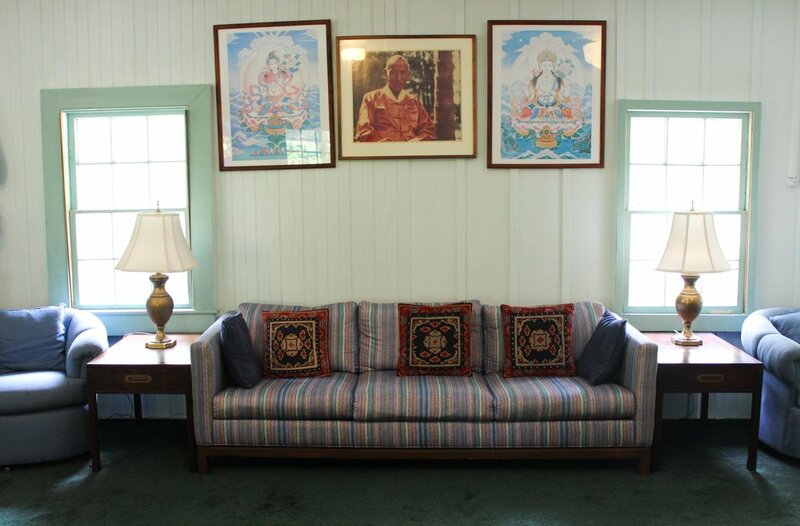 Groups have exclusive access to the Tara Temple meditation room upstairs, lanais, library, and all other common areas in the house. Guests are encouraged to walk the grounds and enjoy the koi pond and the Nechung Dorje Drayang Ling Temple. We aim to provide a place of peace and quiet, therefore there is no phone, WiFi, or television service in the house. There is also no air conditioning or heating in the rooms. Nights can be cool, but the temperature is usually comfortable. A coin washer & dryer are available to guests at their request. Food, clothing for both warm days and cool mornings/evenings, insect repellent, personal toiletries, etc. To reserve the entire Guest House facility, NDDL must be guaranteed a minimum of $750 per day for three days. Individual room rentals are not available when the entire Guest House is booked for a Group. A $20 a day per person fee is charged for those who attend a program at the Guest House during the day, but do not stay overnight at retreat and grounds. A $5 donation is requested per person from day visitors to the Temple grounds, which do not include access to the guest house. 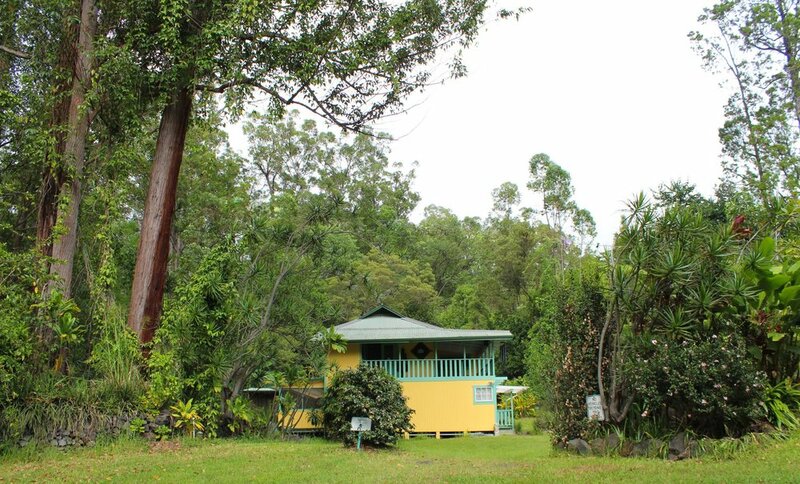 The guest house is exclusively for overnight guests and retreat groups only. Groups and organizations are requested to make arrangements for a temple visit in advance. A non-refundable deposit is required of $500 for 3 nights (minimum stay 3 nights) or $1000 for 4 or more nights. Deposits are due within 45 days of reservation or upon reservation if check-in date is sooner than 45 days. 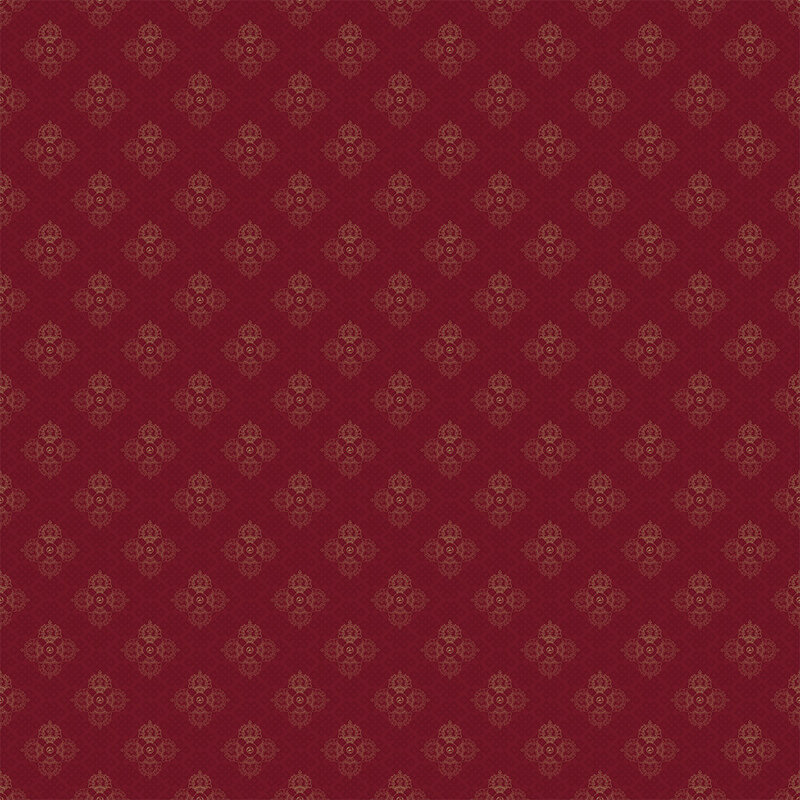 Payment of balance is due upon check-in. Payments may be made with any major credit card, cash, check, or travelers checks. There will be no refund of the deposit. The deposit may be applied to another retreat/program to be scheduled within one year of the original retreat/program dates. Nechung Dorje Drayang Ling is not liable for any personal property, loss, damage or injury incurred to program participants, facilitators and their staff during their stay and the course of the program. “"I stayed at the Temple for one week and loved it. Wood Valley is a very peaceful and spiritual place where you get time to relax and reflect and get to know great people! I am really grateful for my time there"